Margin: 5 feet, a canvas, 2 lengths and 6 lengths. 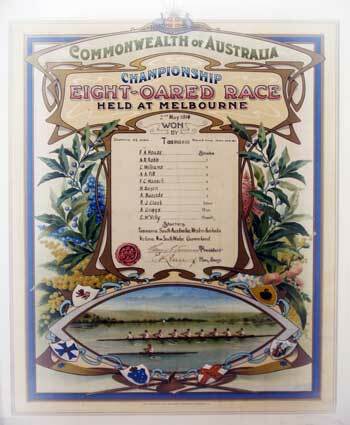 The eights race was regarded as the finest ever since the championship had begun. The race was stopped after a foul in the first half mile and the race restarted. After lying in third position until about 100 yards from the finish, the Tasmanians sprinted to win by five feet to SA with WA third by less than a canvas. What makes this race even more interesting is that only the cox and one rower in the Tasmanian crew had raced at the Interstate level previously. Further, their coach was Cecil McVilly who also won the interstate sculling championship at the same regatta. The Tasmanian stroke and seven went onto be members of the No 1 AIF crew who won the King's Cup in 1919. The 1913 winning crew from Murray Bridge had to make do with second place. 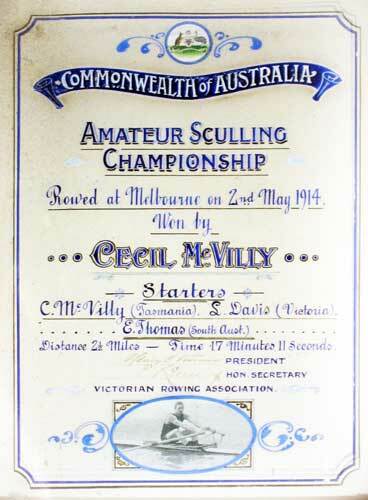 The sculling championship was less exciting with a convincing win to Cecil McVilly.